An unusual gadget that contains two parts. 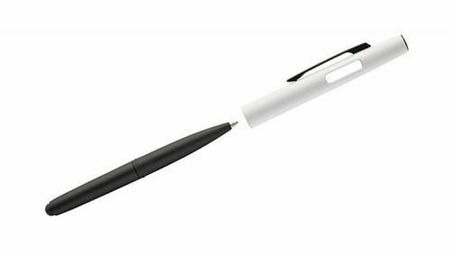 The first element is a ball pen with a matt, rubbery surface and a touchpen. The second is a plastic cap. Another interesting feature are parts under the cap that are visible all the time.